Mehron's 12-Color Paradise Makeup AQ ProPalette is made for professionals who need a generous supply of makeup on the go. Hold up to 12 professional-sized pots in a sturdy case with snug foam holders. This case may be purchased already furnished with pre-selected color schemes or empty for your customization! Quality and quantity come together in Mehron's Paradise AQ Professional Sized Cake Makeup! 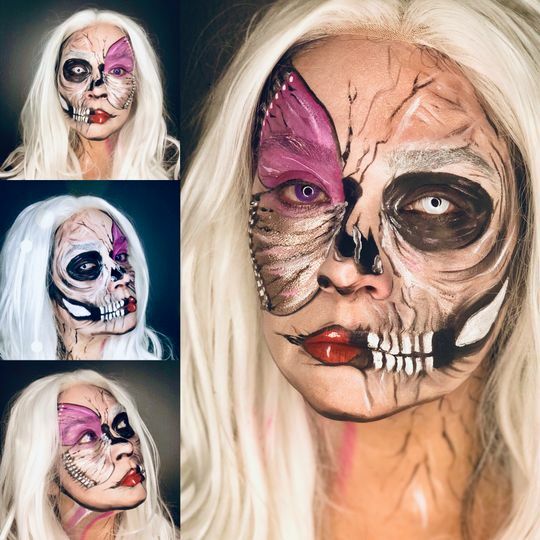 Co-created by world-renowned body painting artist Jinny Houle, Paradise AQ Cake Makeup is the makeup that thrust body painting into a new dimension with its dynamic formula and wide selection of colors. The plush, cushiony makeup is water-activated, giving the artist full control of color concentration. Professional body and face painters love the ease of application and the unsurpassed color range. Now in a larger 1.4 oz size, Paradise AQ Cake Makeup is your best choice for professional body painting and face painting events! Pan Size: 2.31" / 59mm. Pan Weight: 1.4oz / 40gm. Palette Measures: 12.5" x 10.25" x 1.125" - 317.5mm x 260mm x 29mm. Glycerin, Aloe Barbadensis Leaf Extract, PEG-8, PEG-75, Cetearyl Alcohol, Lauryl Glucoside, Glyceryl Stearate, PEG-100 Stearate, Persea Gratissima (Avocado) Oil, Theobroma Cacao (Cocoa) Butter, Bis-PEG-15 Dimethicone/IPDI Copolymer, Butylene Glycol, Chamomilla Recutita (Matricaria) Flower Extract, Cymbopogon Schoenanthus (Lemongrass) Leaf / Stem Extract, Panax Ginseng Root Extract, Cucumis Sativus (Cucumber) Fruit Extract, Symphytum Officinale (Comfrey) Leaf Extract, Tocopheryl Acetate (Vitamin E), BHT, Tris (Tetramethylhydroxypiperidinol) Citrate, Benzotriazolyl Dodecyl p-Cresol, Disodium EDTA, Triethanolamine, Methylisothiazolinone, Decylene Glycol, Mica, Calcium Carbonate, Talc, Fragrance (parfum), Coumarin, Limonene. May Contain [+/-] CI 77891 (Titanium Dioxide), CI 77007 (Ultramarines), CI 77489, CI 77491, CI 77492, CI 77499 (Iron Oxides), CI 77288 (Chromium Oxide Greens), CI 77289 (Chromium Hydroxide Green), CI 42090 (Blue 1 Lake), CI 77266 (Black 2), CI 15850 (Red 7 Lake),CI 15850 (Red 6 Lake), CI 19140 (Yellow 5 Lake), CI 47005 (Yellow 10), CI 77000 (Aluminum Powder), CI 77400 (Bronze Powder), CI 77400 (Copper Powder). 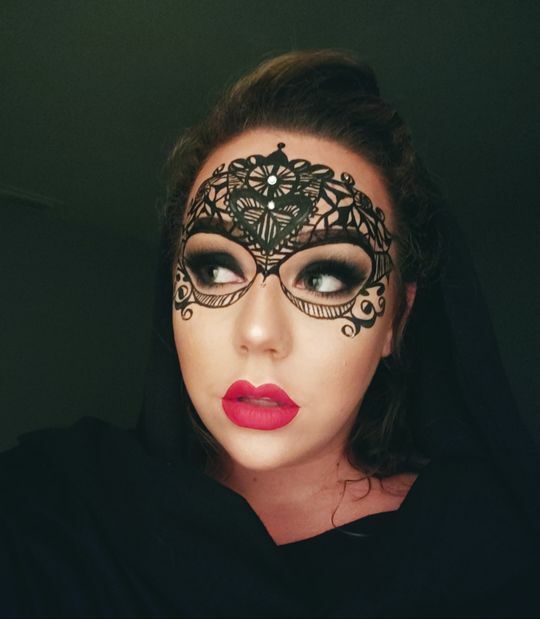 Big fan of Mehron Makeup . Love the quality of the makeup . Morgan H. Reviewed by Morgan H.
Love it! Works very well. Love it! Works very well. Just hard to use when it’s extremely hot outside! Brandon L. Reviewed by Brandon L.
I Purchaced These products And I Absolutely Love Them!!! These Products Have So much Paint For Any Job Neccesary! !